One not to be missed. 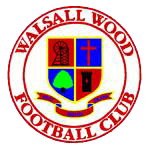 The draw for the league cup brought together neighbours Khalsa and Walsall Wood for the first time since Wood ran riot to win the Midland Football League Division One title. Going into the game, Khalsa stand fifth in the league with Wood in sixth place, both on 17 points, albeit with Wood having played a game more. In their last match, Wood enjoyed an impressive 1-0 win over Coventry United thanks to a goal by recent signing Jordan Nadat. Last time the two sides played was last season in the Walsall Senior Cup, a late Tony Clarke goal earning Wood the win in an action packed encounter. Indeed, Khalsa have failed to beat Wood in their last three encounters. During the 2016-17 season, Wood did the double over Khalsa. First, two Lou Harris goals earning a 2-0 win at the Aspray Arena and then just before Christmas 2016 Wood came from behind to win 2-1. There are several players facing their old sides. Most notably, Shawn Boothe – a rock at the heart of the Khalsa defence – spend a number of seasons as a fan’s favourite at Walsall Wood. Tony Clarke, often a thorn in the side of Khalsa, had a very short spell with the club at the Aspray Arena at the start of the season before returning to his old club Wood.